Mt. Rainier – 14,411 ft.
From the time I was a child, my dreams were the adventurers and the mountaineers, thousands of feet up, taking their last steps towards the summit and holding their ice axes high in the air in triumph. Climbing has become a passion, and a pursuit in life, offering a challenge, and in adventure, for a brief view of the word from the top. I’m proud to say i’m about to join an extraordinary group of adventurers, chasing their wildest dreams across the harshest wildernesses. This year my endeavour will begin on the high peaks of the Cascades on May 16th, as i’m thrilled to announce my first Mt. Rainier expedition. Mt. Rainier is the queen of the Cascades. She stands a monumental 14,411 feet (4,392 m) and dominates the Seattle skyline as the highest point in Washington State, and 5th highest peak in the lower 48 states. 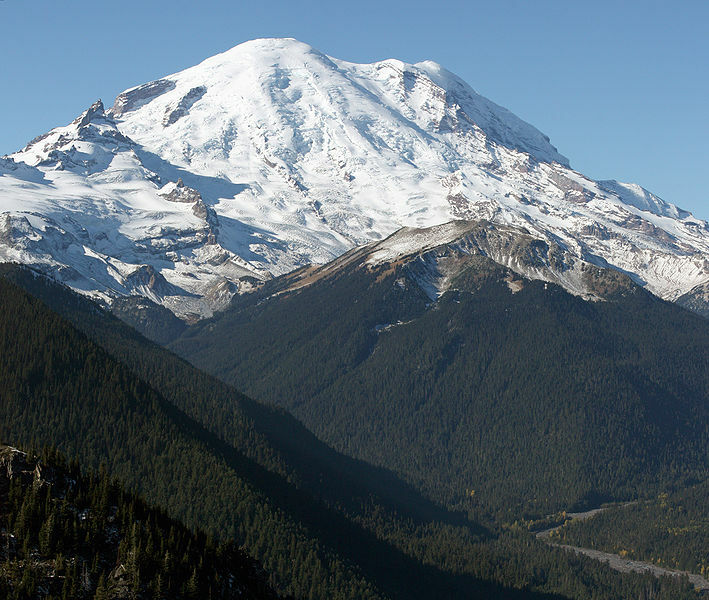 Her topographical prominence of 13,211 feet, stands taller than K2 (meaning if Rainier and K2 stood base to base, Rainier would be nearly 100 feet taller) and ranks 21st in the world. My climb will be guided by the experts at Rainier Mountaineering Inc. and I will have the pleasure of being guided by some of the finest climbers on the planet. I will not be on the expedition alone as I will be joined by my trainer, co-worker, and friend Chris. My adventure will be preceded by tough physical conditioning, aerobics, yoga, and cardipulmonary training. I will have to focus my training on endurance, and the ability to carry a 50+ pound backpack for upwards of six to seven hours a day. 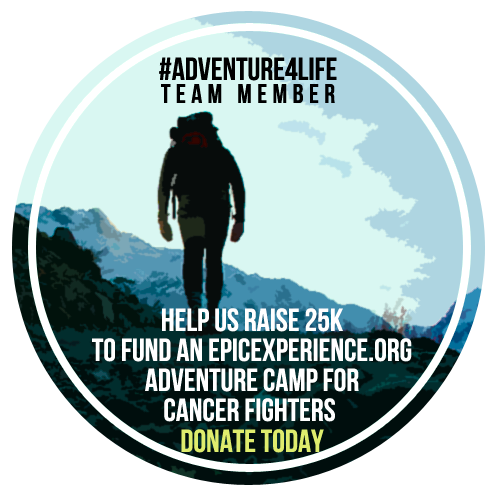 Our climb will start on May 16th from base camp in Ashford, Washington. On Day 1, we will establish our first camp at Camp Muir (10,060 ft) gaining nearly 5,000 feet in elevation in one day. We will spend a day at Camp Muir acclimatizing to the thin air. After two days at Muir, we will wake up early on Day 3, and take off into the night for our summit attempt. Permitting weather conditions and fitness, we will endure a eight or nine hour climb to the summit, arriving hopefully just after sunrise. Our safety is the priority and we will not be making any unwise advances if the conditions are anything less than perfect. I have faith in our guides, my team members, and my tent-mate, to be sure that we have a safe and hopefully successful journey. I’m looking immensely forward to this expedition and I will be keeping a record of my preparation and of course the climb itself in May. Before then, i’m heading to Tennessee on a snowboarding trip with friends, and plan a couple more trips down south to the Everglades. With the mountain looming large in my future, there’s a lot to be excited about. I’m super jealous. Although…I’m hoping I can get this done before too long. Good luck with the training. I’m looking forward to the updates. Cheers! Thank you for your support! I’m extremely excited/nervous about the training but i’m trying my best.